ALMOST ONE THIRD of people are putting off going to the dentist because of the cost. 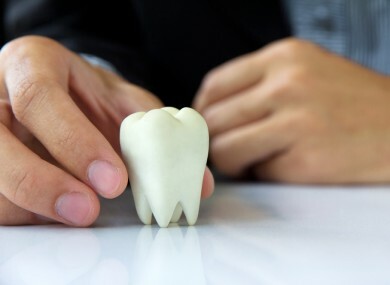 A new survey carried out on behalf of the Irish Dental Association found that there has been a massive increase in the number of patients who wait until they experience pain to visit a dentist. The Behaviour & Attitudes poll found 29 per cent of people have postponed dental treatment because of the restrictions introduced in recent years on accessing free treatment under the PRSI and medical card schemes. Three quarters of dentists surveyed said they have seen an increase in the number of patients who arrive at a surgery in pain while 93 per cent of dentists have seen a marked increase in the number of extractions performed. Significantly, 91 per cent of dentists have seen a decrease in patient attendance. Dr Peter Gannon of the IDA said the results were alarming. “The sever cuts in the PRSI and Medical Card scheme since April 2010 affects 8 out of 10 adults,” he said. “The simple preventive treatments that were available were key to maintaining good dental health for many people. It is worrying to see such problems so soon and I am concerned that we we are returning to the days of extractions and dentures”. The survey of 1,000 people was carried out by Behaviour & Attitudes between 7 and 21 November. Email “Almost one third of us are postponing going to the dentist - because of cost”. Feedback on “Almost one third of us are postponing going to the dentist - because of cost”.